wee inklings: RRC104 Tic Tac Toe! So all in all, it doesn't look too bad, and I am sure the guy who receives it will have no clue that the metallics don't match, LOL! Be sure to check out what the DT created...a wee bit better than mine, and I am sure your creation will be fabulous!! 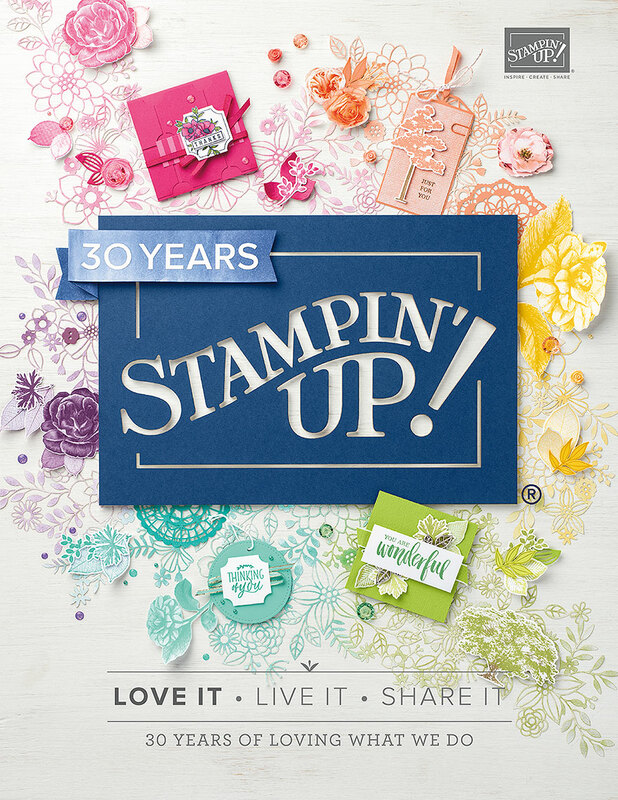 Just make sure you use stamps at least a year old and tell us how old they are! Can't wait to see what you create...share it with us at the Retro Rubber blog!! We had a snow day yesterday, and I think it was the most perfect day for sledding ever! It wasn't real cold, the snow fell lightly all day and it was awesome for sledding! Don't worry, I didn't let them go out into the road, but we did land in the creek (and up the tree and into the bench) a few times, LOL! 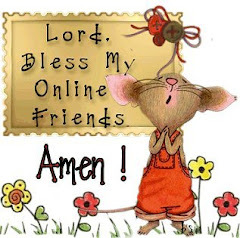 Enjoy your day and be blessed! Ha! The dangers of sledding and card making!! 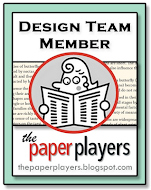 We are hard on ourselves when it comes to card making. I have not even opened my embossing paste that I purchased last year. I wonder if it's dried out? The mix of copper and gold isn't all that bad, but I understand how you felt! I love it. And I bet there are a few cowboys out there that have both gold and copper in one of those belt buckles. If always loved that stamp set! I like the mixed metallics too! The blue really makes everything shine and your recipient will love It! The snow looks like fun...all we have is rain and mud! Well LeAnne, I love the way this card looks, I don't see anything wrong or out of place with the beautiful golden detail on this card. 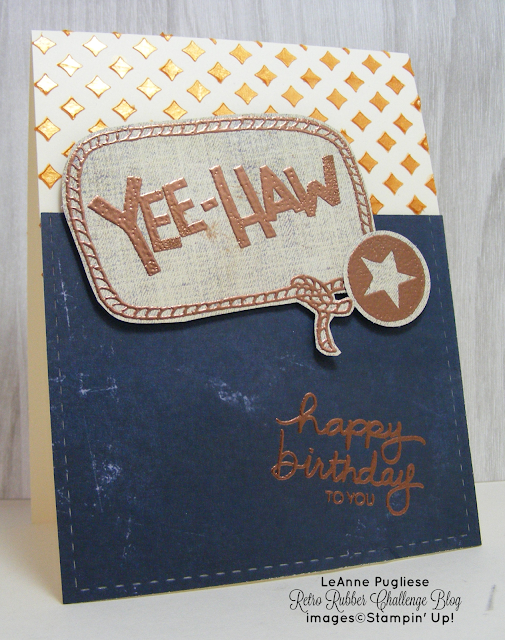 To me its a brilliant background for your super cute copper embossed sentiment, love the faded denim pattern paper too. This is a fabulous masculine card for a guy of any age. I think your masculine card looks great LeAnne! Wonderful colors and cowboy theme! I think it's a great masculine card LeAnne! In fact that little fella giving that sled the giddy up would probably love it so save it for his birthday!! Perfect for sledding for sure....fun! And I think this is a great guy card! Haha! Great to hear that you have those kind of moments too where you begin to wonder if all the time was worth it so you keep going anyway! :-) I thought the mixed metallics was intentional! Love the coloured embossing paste - great texture. Fun card that anyone would like to receive! I think it looks great with the contrasting metallics and that we are always our own worst critics when we create.